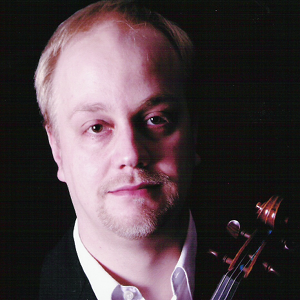 Johannesburg-born André Swanepoel is Principal Second Violin of the Irish Chamber Orchestra. He has guest lead Welsh National Opera and frequently plays guest Principal with Royal Northern Sinfonia, the Hallé, and other UK orchestras. Chamber music is integral to his ICO activities and has led to collaborations with Jörg Widmann, Anthony Marwood and Isabelle van Keulen. Other recent chamber highlights include concerts at the Ryedale, City of London, Chichester and International Donau festivals. He performed in South America for the German Goethe Institut and has been broadcast on West German, Bavarian, Irish and South African Radio. As a member of the “European Music Project” he appeared in numerous theme-based all night concert-events throughout Germany. His CD recordings include a critically acclaimed live recording of Terry Riley’s legendary In C. As soloist he has appeared in South Africa, Ireland, Germany and the UK. André teaches violin and chamber music at the Royal Welsh College of Music in Cardiff; and at the Sage, Gateshead. He is a regular director of Academos, based at the University of Limerick; and has served as orchestral coach for the Britten-Pears Orchestra and various UK university orchestras. He annually teaches on the ConCorda Chamber Music course in Kilkenny, Ireland. André holds a Masters Degree from the University of Pretoria, South Africa; and a Diploma from the Hochschule für Musik in Cologne (Germany). He studied with Alan Solomon, Winfried Rademacher and Charles-André Linale; had masterclasses from Christian Altenburger, and received private tuition from Eugene Fodor and Ana Chumachenko.